8 × = 8 Required Please enter the correct value. There was surprising news out of Japan this week when the country announced its economy grew 1.7% in Q1 2016. At first glance, that makes it seem as though the country's negative interest rates are working. Private consumer consumption climbed 1.9% between January and March. Public consumption grew by 2.6%, showing that individual consumers were more likely to spend their cash than businesses. Economists say part of the growth was due to leap day in February, which inflates the numbers. Before we discuss why negative interest rates are dangerous, it's important to understand the economic recovery plans in Japan. America saw its GDP growth rate fall to -2.8% during the 2009 financial crisis. But Japan suffered much more. Japan's GDP growth fell to -5.5% during the same time. When America's GDP growth stabilized in 2011 at 1.6%, Japan reported a negative GDP growth of -0.5%. 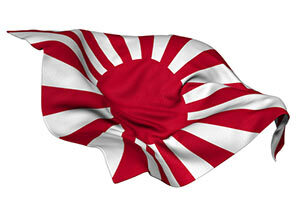 On Jan. 29, Japan cut interest rates from 0% to -0.1% to help grow the economy. Negative interest rates in Japan force commercial banks to pay a fee for depositing money with the Bank of Japan. In theory, this is supposed to encourage commercial banks to lend more money so they won't hoard cash. When more money is being lent to businesses and individuals, these businesses and individuals will theoretically boost the economy by spending more. He also has to protect Japan's social security system and reduce government debt. Abe introduced a sales tax in 2014 with those goals in mind. But many economists blame this sales tax for slow economic growth. Japan will introduce a second sales tax increase, but the Japanese media has speculated Abe will delay the increase. According to The Wall Street Journal, Abe and Japanese officials have denied that claim. While this week's GPD figures out of Japan may look encouraging, the use of negative-interest-rate policies (NIRP) in Japan and across Europe has some major hidden dangers. The concept of negative interest rates has been around since the 19th century. English economist John Keynes even wrote a book that covered the topic of negative interest rates in 1936 titled "The General Theory of Employment, Interest, and Money." Money Morning Global Credit Strategist Michael Lewitt says negative interest rates are a desperate, last-ditch effort to boost an economy. You see, NIRP means that banks can't pass along its costs to the consumer. With low loan demand, banks can't raise their loan rates to offset the cost of keeping money at central banks. That means the banks have to eat these extra costs. Also, regular consumers don't want to be charged for keeping their money at a bank. This means that regular investors aren't storing their money at banks. This limits the amount of money banks can loan to begin with, even if there was a high demand for loans. So while the Japanese economy may be growing in the short term, negative interest rates are not a long-term solution. Money Morning Capital Wave Strategist Shah Gilani has noted that some European bank stocks are already down 30% to 60% because of this issue. Even with interest rates low, bank stocks in the U.S. are faring poorly. Goldman Sachs Group Inc. (NYSE: GS), Bank of America Corp. (NYSE: BAC), and JPMorgan Chase & Co. (NYSE: JPM) are all down 22.98%, 12.68%, and 4.73% over the last 12 months, respectively. If interest rates are negative in the United States, Lewitt believes the stock market could see a major decline. Think that our country's already exploded? Everyone's tax records, maybe we should have a look at our country's finances? On lies and prayers for the rest of our lives? Cause one or the other has got to happen. Either we work as "one" again, and stand free, or talk the truth. Our Presidents from long ago have questioned people coming into this country. But now, Trump is a fink! People that don't understand what's going on in this country. Have a nice day!